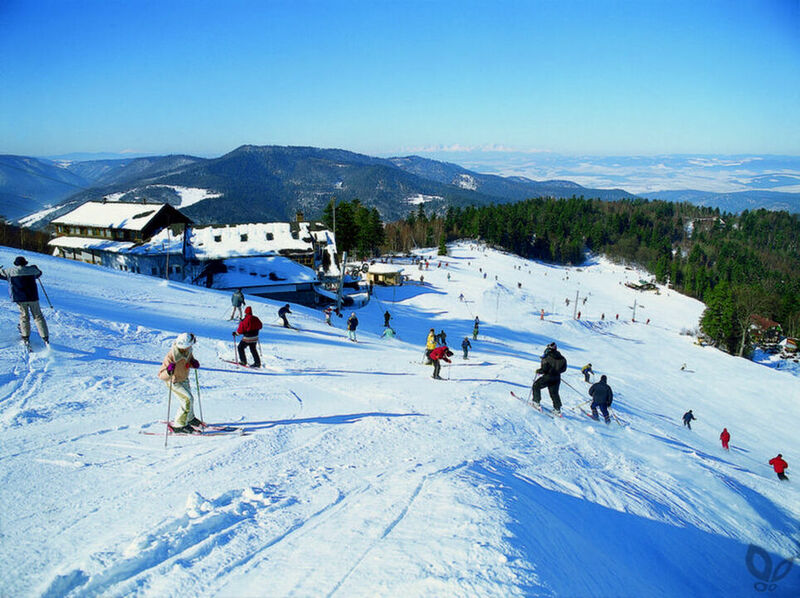 The ski resort Relax Centre Plejsy is situated 2km south of Krompachy in the Spiš region. 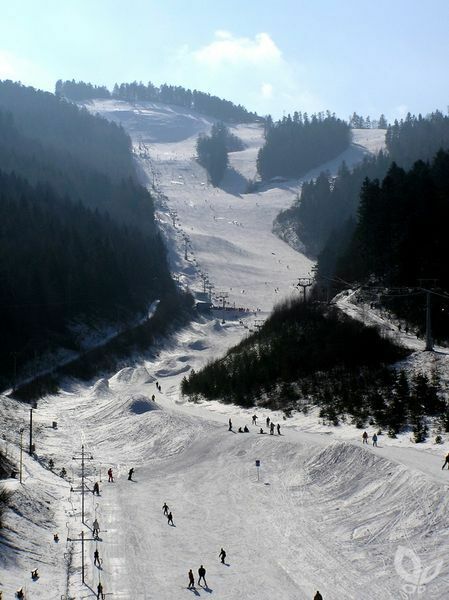 The ski runs are situated on the northern slopes of Krompašský vrch Mountain (1025 meters above sea level). .The total length of the ski runs are 5km, the longest trail is 2350m and the super elevation is 420m. The resort has hosted the European Cup for several years. Ski trails in Plejsy have been approved by the International Ski Federation for slalom, giant slalom and super giant slalom. In the lower part of the resort there are 2 ski lifts with easy terrain, suitable for beginners and intermediate skiers. The upper part of the resort offers moderately difficult to very difficult terrains, a 2-seater chairlift and 3 ski lifts. All ski runs are equipped with snow machines for producing artificial snow. On the slope there are two restaurants and several snack bars. Ski school, snowboard school, ski and snowboard servicing, and rental offer their services. Families with children can enjoy a children's playground and babysitting in hotel Plejsy. 11km of ungroomed cross-country trails are available in the resort. Otváracie hodiny ako aj termíny otvorenia a uzavretia sezóny sa každoročne líšia. Aktuálne údaje sú dostupné www.plejsy.sk. Just 50 m from the slopes of the Plejsy Ski Centre, Hotel Plejsy in Krompachy is located in the heart of the Spiš region and offers you a spa and sports centre and a restaurant serving Slovak specialities. 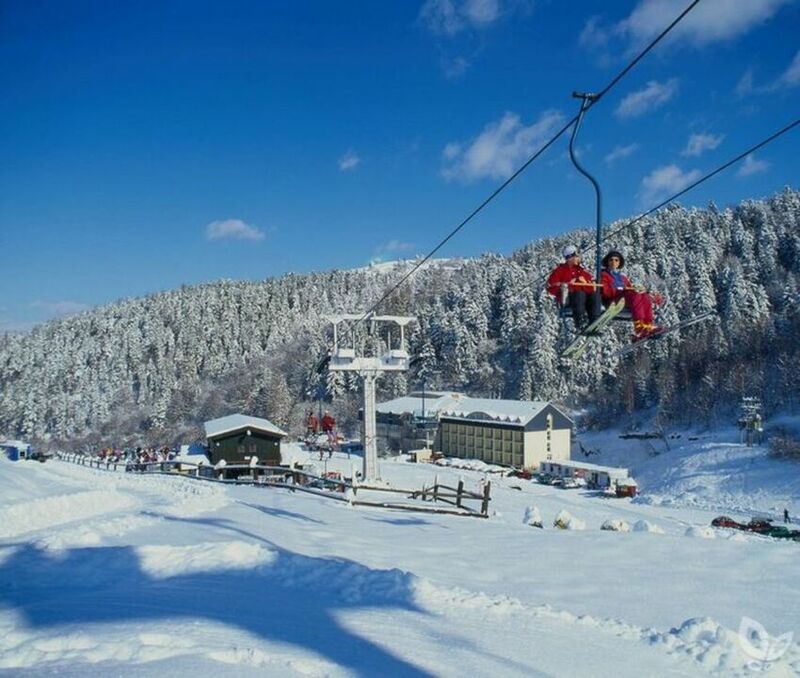 Penzión Hanka Krompachy is a private accommodation is located on the outskirts of the town, 450 m from the lifts of the Plejsy Ski Resort and offers you ski-to-door access and modern rooms and apartments with flat-screen TV and free WiFi. Located on a hillside in Kluknava, Kaštieľ Biela Dáma a Čierny Rytier is situated in a historic castle from the 17th century. The Spiš community of Žehra is known for its precious local Roman-Catholic Holy Spirit church (Kostol Ducha Svätého) that is, along with other monuments around the Spiš Castle, included in the UNESCO World Heritage List. In the eastern horizon of Spišské Podhradie towers the Spiš Castle. As a National Cultural Monument, Spiš Castle with its area of more than four ha, and partially in ruins, is one of the largest castle compounds in Central Europe. Spiš Castle was included in the UNESCO World Heritage List in 1993. The most important building of Spišská Kapitula, which was along with other monuments in environs of the Spiš Castle inscribed in the UNESCO World Cultural and Natural Heritage, is the Late-Romanesque St Martins Cathedral. We offer accommodation and traditional meals – we also organise events such as – Shrove Carnival Pig Slaughter, Goulash Festival Branisko, Spiš Folklore Festival, Master Piroh (pasty). Come and enjoy a weekend’s stay at The Shepherd’s Hut! The Greek Catholic wooden church of St Lucas the Evangelist from 1727. It consists of three parts and its architecture is atypical. This log structure bears traits of the Gothic Roman Catholic architecture. The independent tower standing apart from the nave is typical. The church is located in the historic cemetery. It is one of the oldest wooden churches in Slovakia. The main altar from 1782 is in the Baroque style. Iconostas of this church is even older (1733). One of the stateliest buildings of eastern Slovakia is situated in the southern part of region Spiš. It is the manor house Markušovce. Stone bridge in Spišský Hrhov, in eastern Slovakia, is one of interesting historical and technical monuments, which still serve their purposes. It is one of few conserved historic bridges in region of Spiš. The ZOO of Spišská Nová Ves in the Eastern Slovakia is the youngest and smallest ZOO in Slovakia. It is located close to the National park Slovak Paradise (Slovenský raj) which is one of the top national parks of Slovakia.